As the name suggests, mini dental implants are a smaller version of regular-size implants. They are used as an alternative in situations where regular implants are unsuitable. If you are trying to decide between the two types of dental implants, then you have come to the right place. Traditional dental implants are made up of two parts. The first component is a post that is placed in the jawbone. The post plays the same role as the root of a natural tooth. Once the post fuses with the jawbone, it supports the artificial tooth and stimulates the regeneration of the jawbone, which is exactly what the root of a natural tooth does for the jaw and the outer tooth. The second component of a dental implant is the connector. One end of the connector attaches to the "artificial root," while the other connects to a dental crown or a denture. The artificial root of a traditional dental implant is at least three millimeters in diameter. Its center is a hole with threads that allow the connector to be screwed right into the "root." Mini dental implants are smaller in diameter compared to regular-size implants. Instead of two parts, a mini implant consists of a single component and a socket ring. The lower part of the implant has threads, just like a screw. This is the part that rests below the gum line. The upper part of the implant is ball-shaped and designed to connect to dentures or a dental crown. A socket ring is placed on the upper part of the implant before the artificial tooth is attached. A good candidate for dental implants is a healthy person who can withstand minor oral surgery and heal quickly. The candidate should also have enough jawbone to support the implant. Traditionally, a dentist places a regular dental implant in two or more procedures. If a person lacks enough jawbone, the first procedure will be a bone graft. After a while, the surgeon will place the implant in the jaw. During the third procedure, the dentist will attach a connector to the implant. 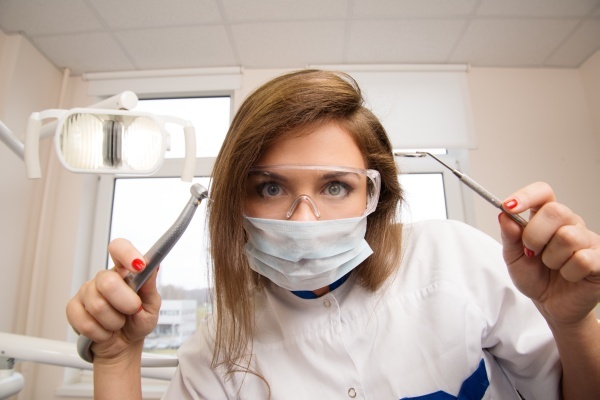 After the patient heals, the dentist will place the artificial tooth. Mini implants are designed for patients who have less bone mass than is needed for traditional implants. It only takes one procedure to fit mini implants. The procedure is less invasive than the ones used to install a regular implant. With a mini implant, the patient can walk out of the dentist's office with a complete artificial tooth. For this reason, mini implants are a great option for people who do not want to go through the long process of traditional dental implant surgery. When are mini implants a better option? It is worth noting that traditional implants are the more stable alternative. For the front teeth, this fact does not mean much, but for the molars, it matters. The only way to know for sure is to visit a dental specialist and get a comprehensive exam. The dentist will talk you through the options available to you. They will advise you on the type of dental implants that will suit you best. Request an appointment in our Odessa dentist office here: https://www.westtexasperio.com.